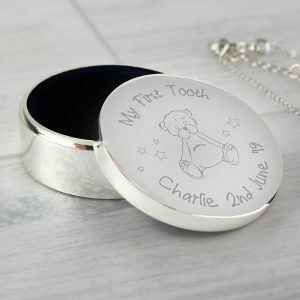 Our Personalised Train My First Tooth Trinket Box is simply adorable and a sentimental way of keeping something precious safe. 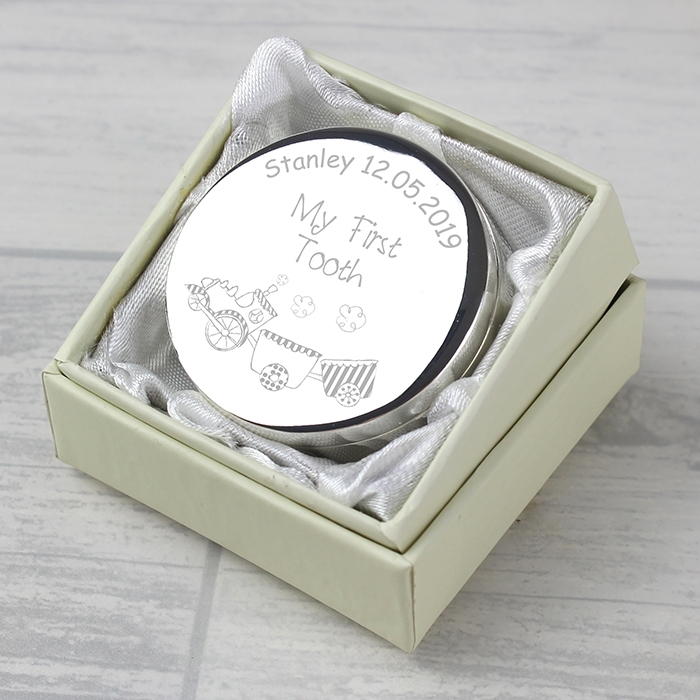 Treasure your little one’s tooth, so it to be passed down to them when they’re older. 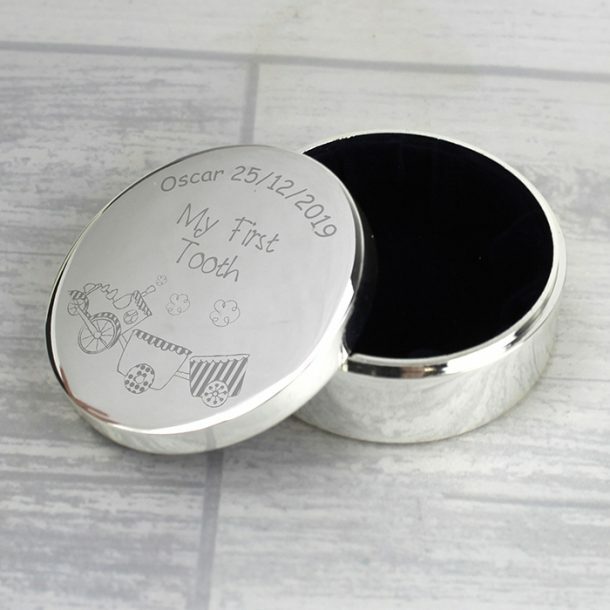 The trinket box is chrome plated and features a lined interior, and is beautifully presented inside a silk lined gift box, to complete the gift. ‘My First Tooth’ is standard text on the lid, but you can make it personal by adding a short 20 character message. 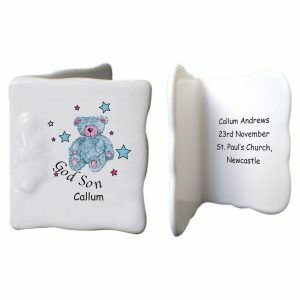 A gorgeous trinket box full of detail, and perfect for any little boy on a birthday or christening day.